Now available from Behringer is the PSU3UL for Eurorack and Xenyx Mixers! 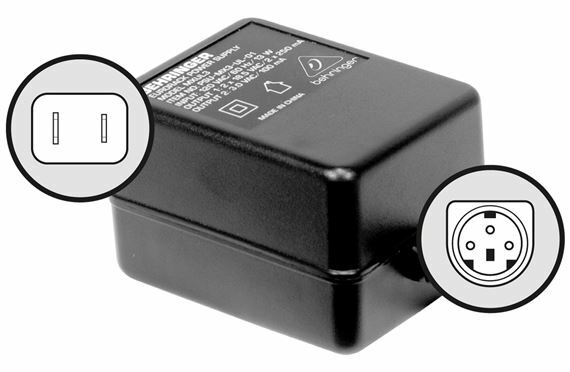 This 120V UL Replacement Power Supply is designed specifically for various Behringer devices. Now available from Behringer is the PSU3UL Power Supply for Eurorack and Xenyx Mixers! This 120V UL Replacement Power Supply is designed specifically for various Behringer Eurorack and Xenyx mixer devices, including: MX602A, UB502, UB802, UB1002, XENYX (502, 802, 1002), Q502USB, Q802USB, and Q1002USB. Plug needed some filing to fit. Pin was not quite right size. Works great and received merchandise in a timely manner. needed it and you guys came through. Guide pin larger than old power supply. Worked fine after grinding down. The guide pin on new pow/sup was larger than old one & would not fit on mixer. Called support & they sent another but same problem. I had to use a dremel tool to grind down post to fit mixer. Other than the guide pin being too large everything else worked fine. I guess quality control didn't do so well on this product.